Is Outsourcing Social Media Marketing Complicated? Home » Is Outsourcing Social Media Marketing Complicated? Different people outsource their social media tasks due to different requirements Depending on the requirements , the decision to outsource social media services sometimes becomes complicated. How is the decision of outsourcing social media marketing complicated? Mastering social media marketing is not as easy as it looks. Had that been the case, nobody would have ever needed the help of social media experts to popularize their social media channels.Consider following points before you decide to avoid outsourcing your social media activities. For running a powerful, successful social media campaign, one needs to know the in-and-outs of the social media channels. Being a time-consuming task, it becomes difficult to manage social media activities as well as business activities side by side. For a Social Media Marketing professional, effectively keeping up with social media is like having another 40-hour-a-week job. You need to consider this fact because you have another 40-or-so-hour-a-week job which is your business. Social media marketing takes time. It takes a lot of time to build and grow. Planning and implementing the right social media marketing plan and strategy is time consuming. It does not come in an instant. Even writing, posting, and monitoring progress takes time. 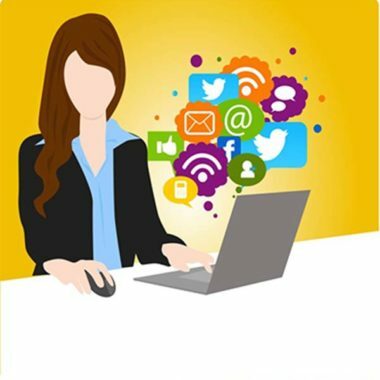 How to decide the right people to outsource social media marketing? Go through their website, their blogs and their social media pages and observe whether they have described themselves creatively or in a boring manner. If they are creative, they will show the same creativity while managing your social media pages. Send them a mail, showing interest in hiring their service. See how long they take to respond to it. If they are a good agency, they should respond within few hours. The time they take to respond to you is the time they will take to respond to your fans who contact you on your social media channels. See what type of talent the agency has. Apart from social media marketers, if it also has blog writers, business consultants, web developers, public relations specialists, graphic designers, and other staff members that can work together as a team to contribute something positive to your brand. See their social media posts and blog posts to observe how passionate they are about their job. Now finding a suitable social media agency/professional team should not be a complicated task for you. . Do post your comments to let us know if you found our suggestions helpful. Also, share your thoughts on what you would look for in an agency while deciding to outsource your social media activities.